This fundraiser is to support our summer programming. This year’s theme is “Get Up and Get Out” focusing on exploring the outdoors with gardening, hiking trails, nature centers, etc.! When you arrive, you can choose a plate, mug or a flower pot to design how ever you like. Once you are done, you can hang out or feel free to go. ConnectiKids has the space from 6:00-8:00 p.m. People can arrive anytime between those two hours and complete their project. There will be light refreshments available. 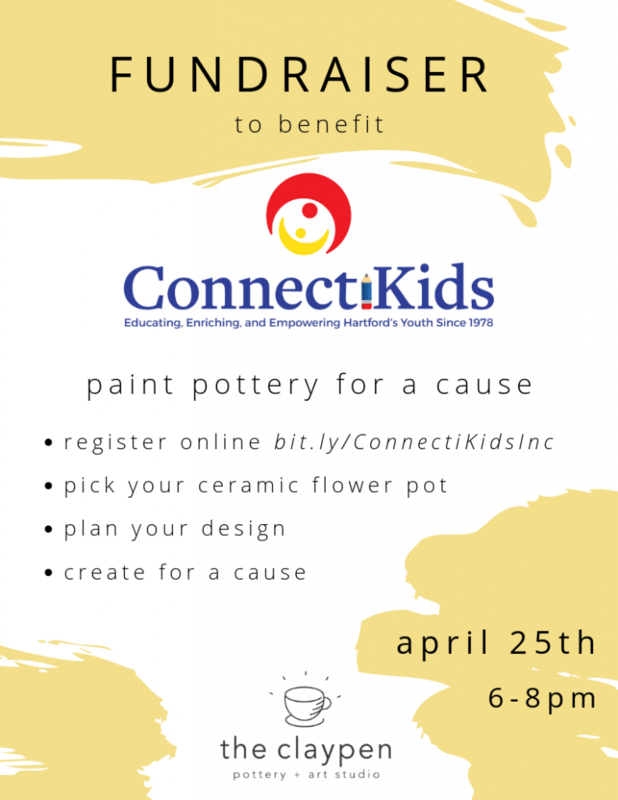 The link to register: http://bit.ly/ConnectiKidsInc.